Cleanse My Bins is a locally owned and operated business that can provide service to all of Polk County. Our wheelie bin cleaners sanitize and deodorize those nasty trash and recycling bins that attract insects, rodents and other pests that impose health hazards to families and their homes. We understand that no one wants to handle disgusting trash bins and all too often avoid even cleaning them because of the filth and the smell that lurks in and around them. We want to take care of that burden for you and leave you with a safer environment for your home and family. 12-stage recovery and filtration system is used to clean and sanitize your trash and recycle bins. Bins are washed with 200° water using extreme high pressure on the inside as well as the outside. Cleanse My Bins not only offers trash and recycling bins cleansing, we offer other SERVICES too. 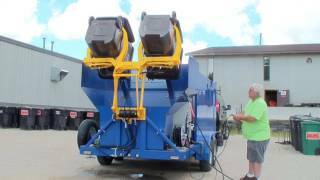 We can pressure wash dumpsters and dumpster areas, driveways and sidewalks. Click on our SERVICES page to find out more or CONTACT us today and let us help you keep your home looking and smelling fresher and cleaner.